I&B ministry refuses to respond to striking FTII students, who insist that Gajendra Chauhan has to go. 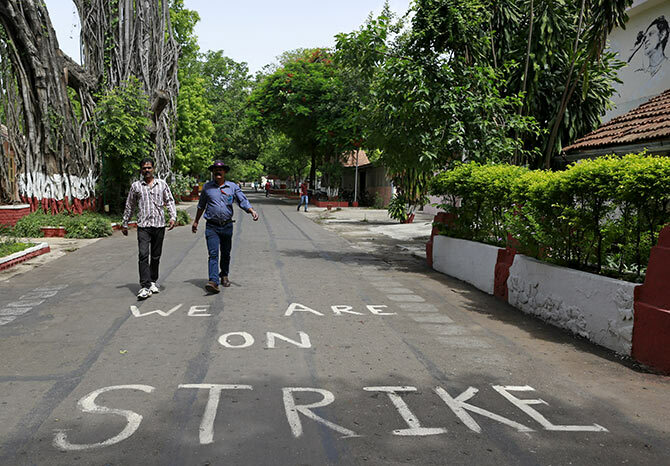 Students at the Film and Television Institute of India in Pune have been on strike for six weeks now, protesting against the appointment of Gajendra Chauhan as its chairman. They had probably hoped to be heard during a meeting with Information and Broadcasting Minister Arun Jaitley on July 3, where they had submitted a charter of demands. Unfortunately, their hopes were dashed. 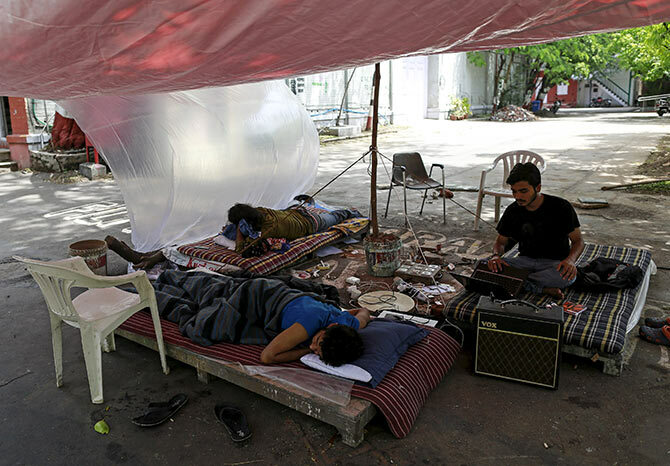 "After that meeting, we have been writing to the ministry but there has been no response," says Harishankar Nachimuthu, president of the FTII students association. The students have decided to approach various members of Parliament for a solution. They have written to 50 MPs," he said. Some members of the Rajya Sabha have acknowledged their mail, but have not mentioned how they will help the students. The government has given the students an ultimatum that they should go back to class or else face rustication. But the students remain unfazed. "We are striking for our demands. How can we go back without our demands being met?" asks Nachimuthu, adding, "Almost all the students are on strike. Classes are not being held at present." He admits that the students are losing out by not attending classes but insists that "at least the dialogue should start again." So what solutions do the students have in mind? "The current society* should be put on hold," Nachimuthu explains. "They (the government) should constitute a separate committee to formulate guidelines on how to select members for a new society. The process should be transparent." They also want a new governing council to be formed, which can include members from the present council. And Gajendra Chauhan, he insists, has to go. Nachimuthu also wants four other members of the governing council -- Dr Narendra Pathak, Anagha Dhaisas, Rahul Sholapurkar and Shailesh Gupta -- to resign as he feels they have strong Hindu right wing connections. The students will meet with officials in New Delhi on Monday, August 3. *According to the FTII Web site: 'The FTII Society is headed by a President who is a well-known personality from film and television, arts or academics. The Governing Council (GC) is constituted by election from among the members of the Society. The GC, as the apex body of the FTII, is responsible for making all major policy decisions of the Institute in consonance with its aims and objectives. The GC, in turn, appoints the Academic Council (AC) and the Standing Finance Committee (SFC), who are responsible for advising the FTII in policy matters related to academic affairs and financial matters. 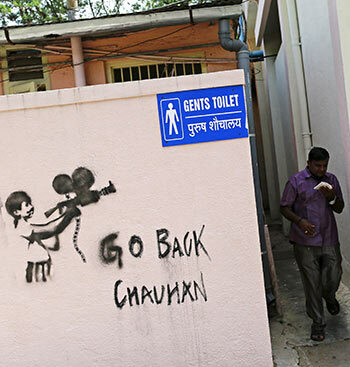 Is this the end of the road for FTII?